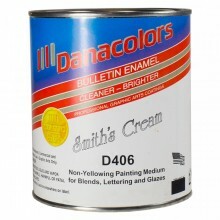 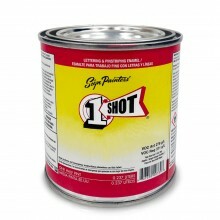 Hard wearing enamel paints with a high gloss finish for signwriting, pinstriping and many other uses. 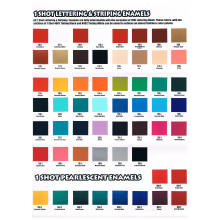 These include the 1 Shot Lettering Enamels which have been the benchmark in lettering, striping and auto graphic enamels since 1948. 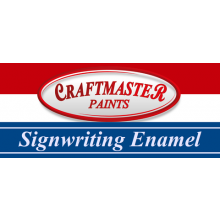 The Lettering and Striping Enamels are accompanied by a full dedicated product line including primers, reducers, additives and clears.